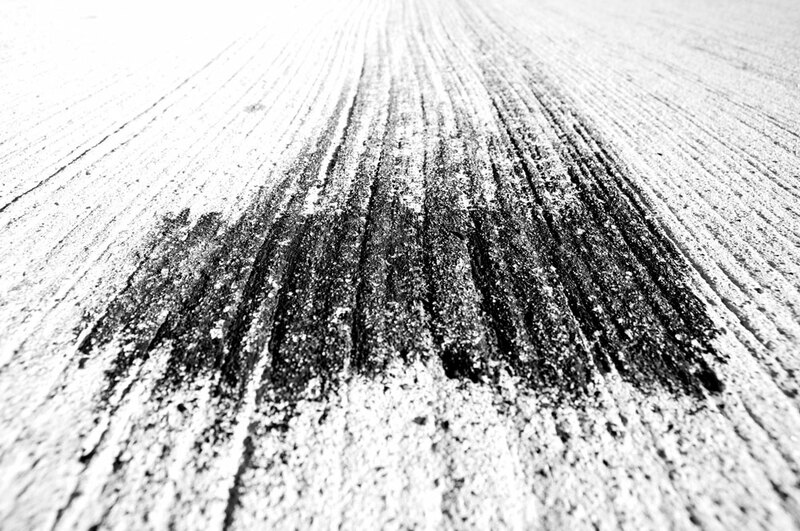 Ah, back to the heart of Moto Kanji — tire tracks as brush strokes. It’s been amazing discovering how the idea plays out in the real world. 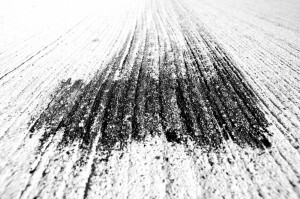 We’re I using brush marks to make tire tracks, I’d have infinite control over how and where the brush strokes appear. But in the real world, I have to drive around, looking for out of the way spots where car enthusiasts have drifted, done burnouts, and/or done donuts. Usually hidden from prying eyes, a lot of the time in industrial areas, back parking lots and seldom-used roads.